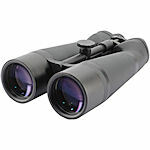 Newcon binoculars offers top of the line binoculars ranging from 20x60 Binoculars w/Tripod Mount for celestial watching to two models of Image Stabilized Binoculars for use aboard aircraft, land vehicles, boats or other moving platforms. Newcon binoculars give you every option. 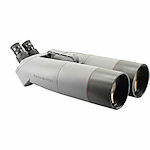 Newcon Big Eye binoculars have 100mm objectives and come with 20x and 40x eyepieces. The eyepieces can also be replaced by night vision monoculars. Big Eyes are waterproof and nitrogen purged, and can withstand marine environments. Large objective binoculars with individual 20x and 40x eyepieces. 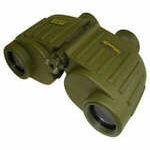 50mm waterproof/fogproof porro prisms binoculars with M-22 reticle and/or Compass.